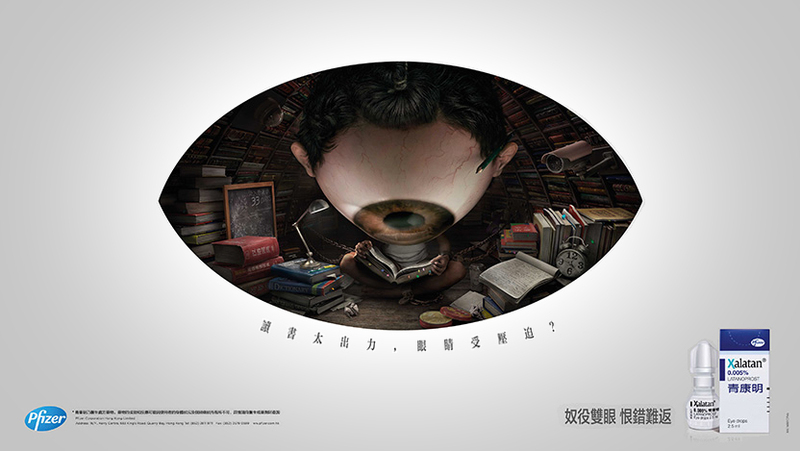 Glaucoma is the leading cause of blindness in Hong Kong, with high prevalence, but low diagnosis. Xalatan is the leading prescription medication, the only treatment for Glaucoma, and Pfizer wants to do something about it. Glaucoma risk is more common than you think. 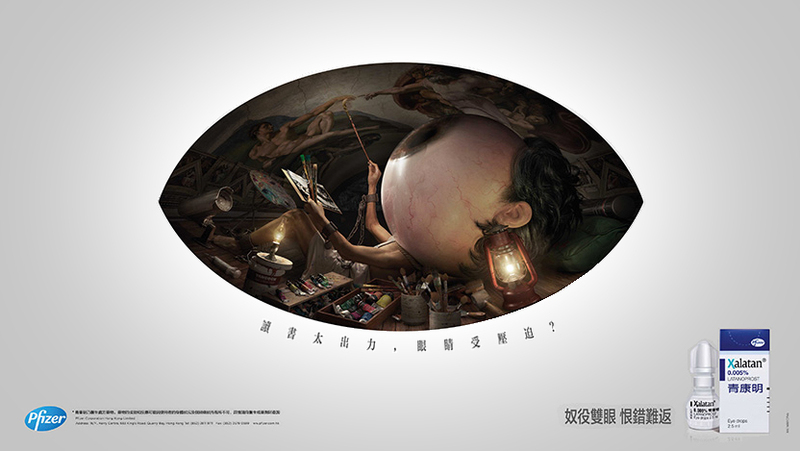 Raise awareness about glaucoma, and to encourage early diagnosis. 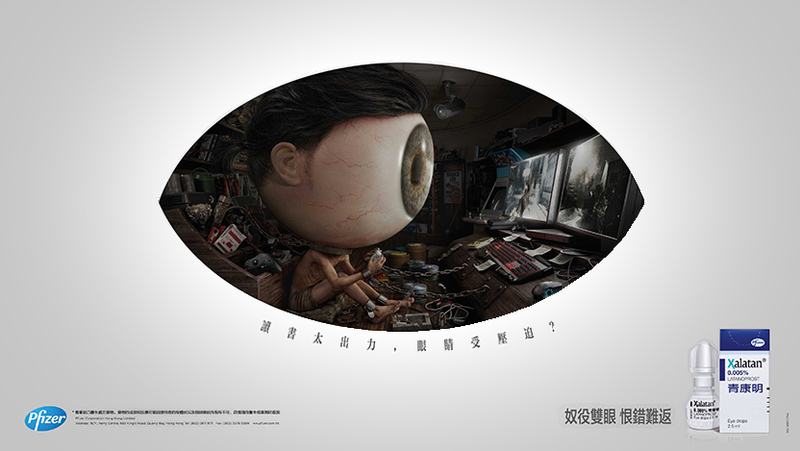 To give a voice to the eyes, by creating an eyeball slave character, which would show how the eyes can suffer over common situations in Hong Kong such as: over-studying, over-working, and over-gaming.